Warren County, NJ can be considered the “western anchor” here on NJroute22.com. The Phillipsburg, NJ area plus many of the roads covered – Route 57, Route 31, Route 173, Route 78, and of course Route 22. This is also the gateway to the select cities in Pennsylvania we’ll be covering. Warren County is a county located in the U.S. state of New Jersey. As of the 2010 United States Census, the population was 108,692, having increased by 6,255 (+6.1%) from 102,437 counted at the 2000 Census, retaining its position as the 19th-most populous county in the state. Its county seat is Belvidere. It is part of the Allentown-Bethlehem-Easton, PA-NJ metropolitan area and is generally considered the eastern border of the Lehigh Valley, and also shares its western border with the New York City Metropolitan Area, with its northwestern section bordering The Poconos. The most populous place was Phillipsburg, with 14,950 residents at the time of the 2010 Census, while Hardwick Township, covered 37.92 square miles (98.2 km), the largest total area of any municipality. Warren County was incorporated by an Act of the New Jersey Legislature on November 20, 1824, from portions of Sussex County. At its creation, the county consisted of the townships of Greenwich, Independence, Knowlton, Mansfield, Oxford, and Pahaquarry (now defunct). The county was named for Joseph Warren, an American hero of the Battle of Bunker Hill. According to the 2010 Census, the county had a total area of 362.86 square miles (939.8 km), including 356.92 square miles (924.4 km) of land (98.4%) and 5.94 square miles (15.4 km) of land (1.6%). Warren County is rolling hills, with the Kittatinny Ridge in the west. Allamuchy Mountain and Jenny Jump Mountain are part of the New York-New Jersey Highlands, also known as the Reading Prong. Around 450 million years ago, a chain of volcanic islands collided with proto North America. The chain of islands went over the North American plate, thus the Highlands were created from the island rock and so was the Great Appalachian Valley. The Highlands is Allamuchy Mountains and the Jenny Jump Mountains. Thus, Warren County was born. Around 400 million years ago a small continent that was long and thin collided with proto North America. This created the Kittatinny Mountains, as the land was compressed from the collision. The quartzite that was lying in a shallow sea on top of the Martinsburg shale, folded and faulted due to pressure and heat. The quartzite lifted, thus the Kittatinny Mountain was born. The final collision was when the African plate collided with the North American plate. This was the final episode of the building of the Appalachian Mountains. Then the African plate tore away from North America. Then the Wisconsin Glacier covered the northern part of the county from 21,000 to 13,000 BC. This glacier covered the top of Kittatinny Mountain and carved the terrain in the northern part of the county. The terminal moraine runs from north of Belvidere to south of Great Meadows to north of Hackettstown, to north of Budd Lake. Blairstown Township, Hope Township, half of Independence Township, part of White Township, and all of Allamuchy Township was covered by the Glacier. When the glacier melted, a lake was formed at Great Meadows. Slowly the lake drained leaving a large flat area filled with organic material. The county is drained by three rivers. All three rivers are shallow and narrow. They are freshwater rivers that are excellent for fishing. The Paulins Kill drains the western portion of the county. The river flows from Newton to Blairstown Township, and then through Knowlton Township where it drains into the Delaware River. The Pequest River drains the middle of the county flowing from Andover Township through Allamuchy, then to Independence Township where it turns west and flows through White Township and then empties into the Delaware River at Belvidere. The third river is the Musconetcong. Starting at Lake Musconetcong, the river divides the county from Morris and Hunterdon. This river drains the southern portion of the county and empties into the Delaware River near Warren Glen. Warren County is located in two valleys of the Great Appalachian Valley. The first is the Kittatinny Valley, which is in the northern part of the county, and the Lehigh Valley, which is in the southern part of the county. The Lehigh Valley starts at the terminal moraine of the Wisconsin Glacier slightly north of Belvidere. It extends from the Delaware River south to where the Musconetcong River goes into the Delaware River, northeast to the Jenny Jump Mountains and then along Route 80 to the Allamuchy Mountains to the terminal moraine near Hackettstown. The highest elevation is 1,600 feet (490 m) above sea level on the Kittatinny Ridge, at two areas just south of Upper Yards Creek Reservoir, west of Blairstown. The lowest point is the confluence of the Delaware and Musconetcong rivers at the county’s southern tip, at 160 feet (49 m) of elevation. The highest elevation on Allamuchy Mountain is 1,240 feet (380 m) on the ridge northeast of Allamuchy. On Jenny Jump Mountain the highest point is 1,134 feet (346 m) east of the Shiloh area or south of Interstate 80. Sunfish Pond has an elevation of 1,379 feet (420 m) and upper Yards Creek Reservoir is at 1,555 feet (474 m). In recent years, average temperatures in the county seat of Belvidere have ranged from a low of 19 °F (−7 °C) in January to a high of 85 °F (29 °C) in July, although a record low of −17 °F (−27 °C) was recorded in January 1994 and a record high of 101 °F (38 °C) was recorded in July 1999. Average monthly precipitation ranged from 2.77 inches (70 mm) in February to 4.65 inches (118 mm) in July. After the Wisconsin Glacier melted around 13,000 B.C., the area slowly warmed but was still cold and wet. Cold water was everywhere due to glacial melt. Huge lakes and swamps were everywhere. There was a huge lake at Great Meadows. At first, the area was Tundra, in which lichens and mosses grew. Later, grasslands filled in the landscape. As the climate warmed over a thousand years, Taiga/Boreal Forests grew. The water drained slowly from the glacier and so grasslands grew first. Big game such as mastodons, mammoths, and caribou came into the area, as well as other game such as rabbits and fox. These animals ate the lichens, moss, and grasses that grew. This is when Paleo Indians moved into the area. The area was rich in wildlife. Paleo Indians lived in small groups and traveled in search of game and plants to eat. They were hunter-gathers.They lived near water and moved after the game became scarce in the area. They ate various berries and plants as well as game hunted. They also ate freshwater clams and fish that migrated north in the Delaware River to spawn such as shad and sturgeon. Fish were caught by spears or fish traps made of stones and sticks. The shallow riffles in rivers were used to catch fish. They made spear points of Jasper, quartz, shale, or black chert. They traveled to quarries in search of stones for spear points or they traded with other small groups for these points. They also used atlatls, which is a stick that throws a dart with a lighter stone point than a spear. Later coniferous forests grew as the area warmed. Paleo-Indian campsites are many feet below the present ground surface, making them difficult to locate. The megafauna of the tundra moved north such as the caribou, as the climate warmed or became extinct. Some Paleo Indians moved north with the caribou. There are four Paleo Indians sites. One is in Warren County and the other three are near. The Zierdt site is located near the Delaware River in Montaque Township. The next is the Dutchess Cave in Orange County, New York, just east of the Wallkill River. The third is the Shawnee site located north of the Delaware Water Gap on the west side of the river where a stream enters Delaware. The Warren County site is the Plenge site located on the north side of the Musconetcong River in Franklin Township, Warren County. Other Paleo Indians moved into the area through different periods of time. Eventually, ancestors of the Algonquian-speaking Lenape moved into the area, perhaps as early as 1000 AD from the Mississippi River area. Clay pottery was invented around 1000 B.C. and the bow and arrow were being invented around 500 AD. This allowed Native Americans at this time to procure more food, as game could be taken at a longer distance. Food such as nuts could be stored in clay pots or the pots were used for cooking. Agriculture also started around that time, with the cultivation of corn, beans, and squash. Seeds were probably procured from traveling groups or tribes. Settlements of family groups became more stable, as they could store food in pottery, as well as procure more game with the bow and arrow. Agriculture contributed to the rise of population density in areas where crops could be grown. The Lenape would tend their oval gardens during the spring and summer months. They fished with nets or by hand in the shallow rivers. The Lenape trapped game with deadfalls and snares. Problems developed in the early 17th century when the Little Ice Age came to North America. With late frost in May and June and frosts in early August or September, made the growing of crops difficult. Cold weather also made big and small game more difficult to find. Also, nut crops from oak, hickory, beech, walnut, chestnut, failed at times making the supply of these nuts scarce. Rivers froze so fishing became impossible. Their population had declined after epidemics of infectious diseases, for which they had no acquired immunity, as Native American populations were separated from Europe for thousands of years and had no immunity. Many Native American populations were weakened from starvation due to the Little Ice Age, which was coldest during the 17th century. Their important corn, bean and squash crops failed due to late cold weather and early frosts. As the Native American population declined, more land was available for European settlement. All these factors along with diseases contacted from Europeans made the Native populations decline dramatically. Europeans purchased land known as land patents so Native Americans moved west to Ohio or Canada. After the Dutch started to settle the Hudson River valley in the early 17th century, the settlers established small communities (trading posts) into Western New Jersey. Due to differing interpretations of land uses and vastly different cultures, the Dutch and Native Americans had increasing misunderstandings, which led to hostility. In the middle 17th century, there were three wars between the Dutch and Native Americans, notably the Lenape tribes. In August of 1664, the English had taken control of the area, which the Dutch called New Netherland. Relations between the British and Native American improved for a while but gradually declined. This led to the French and Indian War of 1754, which fortified homes or small forts were built from Phillipsburg to Port Jervis, N.Y. along or near the Delaware River. The mountains of Warren County was the frontier of the war. After the war ended in 1763, there were very few Native Americans left in Warren County. In the present-day Phillipsburg area, European settlement occurred in the late 17th century. Surveyors from Philadelphia went north along the Delaware River to survey the land. Settlers from Philadelphia moved north into present-day Warren County after colonists purchased land from the Native Americans. As the Native American population declined, more land was available for European settlement. By the late 1700s/early 1800s, Phillipsburg, Hackettstown, Belvidere, and Washington emerged as small settlements and served as the cornerstone communities in lower Sussex County. In 1824, Warren County was established and Belvidere was named as its county seat. Warren County has many areas for hunting and fishing. The five major rivers or creeks for fishing in Warren County are the Paulinskill, the Pequest, the Musconetcong, Pohatcong Creek, and the Delaware River and are the premier fishing streams of the county. They are stocked with trout and other types of fish. Merrill Creek Reservoir, located in Harmony Township, is also stocked with fish and has game in the surrounding woods. Pohatcong Creek is also popular for trout fishing in the spring. The New Jersey Department of Wildlife houses its Pequest Fish Hatchery, which produces trout and other fish, in Warren County about five miles northeast of Oxford, along U.S. Route 46. Thousands of trout are raised in this hatchery and also serves as an educational center for other outdoor activity. There are a couple notable Wildlife Management areas for hunting, White Lake, Oxford Lake, and the Pequest River W.M.A. The Delaware Water Gap National Recreation Area is also for hunting and fishing. At the 2010 United States Census, there were 108,692 people, 41,480 households, and 28,870 families residing in the county. The population density was 304.5 per square mile (117.6/km). There were 44,925 housing units at an average density of 125.9 per square mile (48.6/km). The racial makeup of the county was 90.29% (98,137) White, 3.51% (3,818) Black or African American, 0.14% (155) Native American, 2.46% (2,673) Asian, 0.03% (30) Pacific Islander, 1.81% (1,964) from other races, and 1.76% (1,915) from two or more races. Hispanics or Latinos of any race were 7.05% (7,659) of the population. There were 41,480 households, of which 31.2% had children under the age of 18 living with them, 55.1% were married couples living together, 10.2% had a female householder with no husband present, and 30.4% were non-families. 25% of all households were made up of individuals, and 10.1% had someone living alone who was 65 years of age or older. The average household size was 2.57 and the average family size was 3.1. In the county, 23.6% of the population were under the age of 18, 7.9% from 18 to 24, 24.1% from 25 to 44, 30.4% from 45 to 64, and 14.1% who were 65 years of age or older. The median age was 41.5 years. For every 100 females, there were 94.6 males. For every 100 females age 18 and over, there were 91.5 males. As of 2010, the county had a total of 1,055.07 miles (1,697.97 km) of roadways, of which 690.53 miles (1,111.30 km) were maintained by the local municipality, 256.15 miles (412.23 km) by Warren County and 103.20 miles (166.08 km) by the New Jersey Department of Transportation and 5.19 miles (8.35 km) by the Delaware River Joint Toll Bridge Commission. The county has a few notable state and federal roads. The chief state routes are Route 31, a north-south road that runs from Buttzville in White Township to Trenton, and Route 57 that runs between Lopatcong Township to Hackettstown. Route 94 in the northern part runs through Blairstown into New York via Newton and the rest of Sussex County. Route 173 runs near Bloomsbury into Hunterdon County, terminating at Clinton/Annandale, and Route 182 serves as one of the commercial areas of Hackettstown. 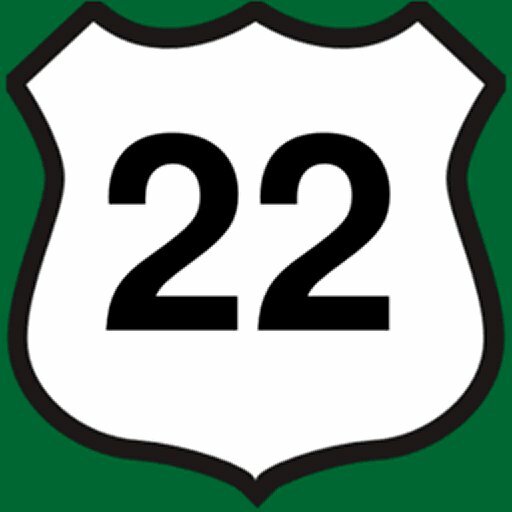 The US Routes are U.S. Route 22 in the Phillipsburg area and U.S. Route 46 runs from Columbia to Hackettstown in the northern section. The two interstates are the Phillipsburg-Newark Expressway (Interstate 78), and the Bergen-Passaic Expressway (Interstate 80). Warren County has a single NJ Transit train stop, located at the Hackettstown station on the Montclair-Boonton Line. Warren County also contracts with Easton Coach to provide demand-responsive service, as well as limited fixed-route service. New Jersey Transit also operates the #890 & #891 buses in the Philipsburg area. By air, the county is served by Lehigh Valley International Airport near Allentown, Pennsylvania to the west and Newark Liberty International Airport to the east.